Capcom will likely give players the ability to erase game saves in future titles after the controversy over Resident Evil: The Mercenaries 3D. 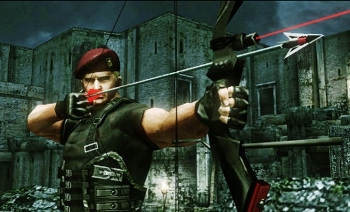 When players noticed that game saves couldn't be erased in Resident Evil: The Mercenaries 3D, a theory emerged that it was Capcom's effort in the fight against used games. Though Capcom denied the accusation, it says that it probably won't make the same mistake again. The premise of the theory was that nobody would want to buy Mercenaries 3D used, because they would only be able to play someone else's game and not their own. We all know that's pretty much no fun at all, even if a title has replay value. Some retailers are even denying Mercenaries 3D as a trade-in. In a live chat, Capcom VP Christian Svensson explained that future titles will allow players to delete their saves. He reiterated that there was no "malicious intent," but added: "I think it's also fair to say that in light of the controversy it's generated, I don't think you're going to see something like this happening again." It's not like Mercenaries 3D is the first cartridge-based game without the ability to erase game saves, but it's extremely rare in my experience, and these games usually don't have the name recognition of a Resident Evil title. Being able to erase your games from a cartridge is something you could do all the way back on the NES (and earlier? ), and I'm pretty sure it might even be written into the Constitution. At least gamers have shown Capcom, and every other developer, that this is not the proper way to fight used sales.